Janet and her team made selling my beloved townhouse fast and easy. I was given solid advice on what would make sense to update, and I really relied on Janet to help me with pricing and timing. At the time my residence was on the market, two other ones went for sale around us. Ours was perfectly priced and sold first. Janet also staged my vacant residence so elegantly which really made my property stand out. I would certainly recommend her expertise to anyone looking in the Boise area. 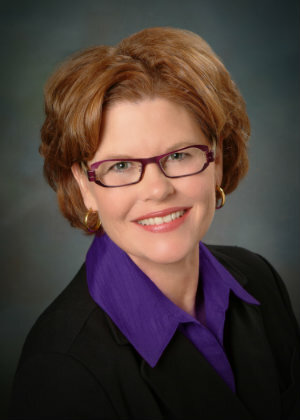 Vikki L.
I've been with Thinking Boise Realty for several years. They've helped me buy a home and sell two others. I've always walked away from the transaction happy, something I haven't been able to do with other realtors. Even after our transactions are complete, they have been available to show me houses, answer questions, and even refer me service people. The service people they recommend have always been top notch. The Boise area is full of realtors, but only a handful of them are excellent at what they do. Janet Jameyson and her team at Thinking Boise are by far the best that I have encountered. I highly recommend her. Drew W.
My husband and I are so thankful we crossed paths with Thinking Boise! We just moved across country (Florida to Idaho), and didn't know much about the area at all. We anticipated having to spend quite a while renting and house-hunting before finding the perfect home. We were first time home buyers, but have heard countless stories about how stressful the home buying experience is from friends/family. However, working with Thinking Boise changed all of our preconceived notions of what home buying would be like. We found our dream home instantly, but it was a bit out of our price range, and we felt it was too good to be true. But they worked some magic, and got us into our dream home! We were bracing ourselves throughout the entire process for some crisis or breakdown, but it never came. The team kept us informed and prepared throughout every step of the way. We always felt in control, and that was entirely thanks to Thinking Boise! We seriously lucked out when they became our team, and I would highly suggest them to anyone! Michal & Alison K.
The Thinking Boise Team was the most genuine group I have ever met. They helped us day, night, & weekend. We appreciated the kindness and the care they took to help us find our home. We are super happy with our decision. We couldn’t have asked for a better experience. Chelsea F. & Jonathan S.
The Thinking Boise team was remarkable throughout the purchase of my new home. I had a tight timeline after I sold my current home. We starting looking as soon as I could. They listened to what I was looking for and my price range. We looked at exactly those homes. We actually found the house I now love when it was in a pre-sale status. They started negotiations right away. We got that house seamlessly. I highly recommend them to everyone. They are terrific. C.R. Thinking Boise was very understanding of my concerns and needs in making this big purchase as a first-time home buyer. I couldn't be happier with their professionalism and advice throughout my home buying experience. Wonderful people to work with and I love my house! Jeanette J.
I don't know how many times Thinking Boise dropped everything to urgently meet us at a house. I am glad they didn't charge by the house showing; that would have been costly. Even though a good number of homes didn't work out for us, they kept showing up to the game with a positive attitude and always had something encouraging to say. Great personality! We loved working with them and love their sense of humor. Steve K.
Thinking Boise is a pleasure to work with! They continually go above and beyond to answer all of our questions and helped us find what we were looking for. We definitely look forward to working with them more in the future! Amanda M.
Exceptional, dedicated and hardworking realtors are hard to find. You just found Thinking Boise. Karl P.
Thinking Boise is a very personable, hardworking group. We couldn't have done it without them! They really took the time to get to know what we were after and helped us find it. They're great! Courtney B. We really enjoyed working with Janet. We were out of state when we sold our house in Boise and she took care of everything! She is very professional and knows her market very well! We sold our house in about 2 weeks. Thanks Janet Becky & Justin M.
We have been able to work with Thinking Boise on multiple transactions and have been more than pleased each time. Thinking Boise is very accommodating, extremely enjoyable to work with, and has a great pulse on the market. We would highly recommend them for any real estate transactions." Mandy M.
My experience with Janet was great! She helped with any questions or concerns that I had and got me taken care of as quickly as possible. Also anything that had changed during the process or updates she was on top of it in finding out whats going on then filling me in. Janet was very professional in how she handled everything and I highly recommend her." Tyler K.
Thinking Boise, you were so helpful & supportive of the whole process. You were clear about explaining everything (even when we asked the same question twice!). We could tell you were interested in getting us the house we wanted and making sure it all turned out well for us. Thank you. Sid & Cathy G.